Formulated with physiological pH, ABCDerm Milk moisturizing face and body respects the characteristics of baby's sensitive skin. Its fresh and creamy texture with a delicate perfume, provides pleasant sharing moments with your baby. ABCDerm Milk moisturizing face and body, moisturizes, protects and smoothes the delicate skin of babies and children. Moisturized and protected, the skin is softer and smoother, providing comfort and well-being. Excellent tolerance with new reformulation formula. Security: no parabens, phenoxyethanol, clorfenasina, cloroexidina, phthalates, BHA, BHT, MIT-MCIT, and without dyes or essential oils. Effectiveness: the most pure active ingredients, recognized efficacy, in certain doses. Tolerance: use of ingredients strictly necessary in order to ensure safety and comfort. Tested under a dermatological rigorous control. Traceability: verification of origin, monitorization and control of all products every step of the production and distribution process. 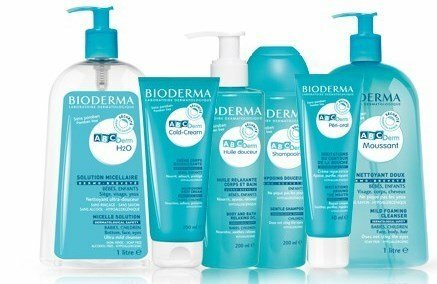 Apply 1 to 2 times per day, on clean dry skin, ideally with a hygiene ABCDerm product.